Water Soluble Plastics are composed of 75 per cent of polyvinyl alcohol (PVA) the balance being compound plasticisers and organic additive.PVA is a soluble resin, and all the substances are biodegradable and contain no heavy and/or toxic substances.Water-soluble film is a “green” environmental product that is used across many industries, and can be constructed to meet your exact application and requirements. Water Soluble Films by Packspec for a biodegradable solution for all industry film needs Total solubility in water Biodegradable and environmentally friendly Non- Toxic, and Anti Static Film/Bags can be Printed Resistant to ultraviolet light Resistant to gases, oils and greaseLaundry Bags Supplied in 2 sizes, both are 100% water soluble at <65° Degree. Agriculture Agriculture chemicals are usually supplied in high concentration, are hyper-toxic, and can be a major health hazard. Because of this governing bodies are now paying more attention to the packaging of these chemicals, and water soluble packaging has been identified as a safe, cost effective, and user friendly method to safely dispense the chemicals in an environmentally acceptable manner. Water Soluble film is supplied in either Pre-Formed Bags for manual filling, or in a Single Wound Sheet format, supplied as a roll for automated in-house Form/Fill & Seal packaging.Cement Cement additive is both high in alkali and acidity, with both generally used in high concentration. Cement additive can easily cause injury to the operators' eyes and skin and can also pollute the environment if not controlled. Using water soluble packaging not only protects the operators, but allows you to measure and control the exact dosage amounts required, thus avoiding wastage and also minimizing any costly “incorrect” finishesLiquid Detergents / PowdersA wide range of household and industrial materials can be safely packed and dispensed using PVA water soluble packaging. 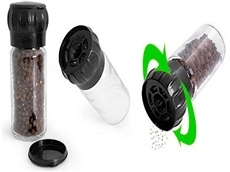 Liquid laundry detergents, detergent powders, powder chemicals, and dyes can all be portion controlled and dispensed easily using water soluble packaging. 05/05/14 - Sustainable practices being adopted by the packaging industry are leading to the increased use of water soluble plastics across several industries.Water soluble plastics are composed of 75 per cent polyvinyl alcohol (PVA), the balance consisting of compound plasticizers and organic additives. PVA is a soluble resin, and all the substances are biodegradable and contain no heavy and/or toxic substances.Water soluble film is a green packaging material and offers multiple advantages including total solubility in water, biodegradable properties, non-toxic and anti-static characteristics, printability, resistance to ultraviolet light, and resistance to gases, oils and grease.Water soluble packaging film is ideal for use as laundry bags, as well as packing agricultural chemicals, cement additives or liquid detergents and powders.PACKSPEC supplies laundry bags in two sizes, which are 100% water soluble at <65°C. To pack hyper-toxic agricultural chemicals, PACKSPEC offers water soluble film as pre-formed bags for manual filling, or in a single wound sheet format supplied as a roll for automated in-house form, fill and seal packaging.Cement additives are both high in alkali and acidity, and can easily cause injury to the operators' eyes and skin and even pollute the environment. Using water soluble packaging not only protects the operators, but also allows them to measure out and control the exact dosages required, thus avoiding wastage. A wide range of household and industrial materials can be safely packed and dispensed using PVA water soluble packaging. These include liquid laundry detergents, detergent powders, powder chemicals and dyes, which can all be portion-controlled and dispensed easily using water soluble packaging.Water soluble packaging film is available from PACKSPEC. 03/09/12 - Ferret.com.au recently ran a series of articles discussing proactive ways manufacturers and distributors can reduce packaging use and embrace more environmentally sustainable packaging materials, with a primary focus on solutions for warehouses, factories and distribution centres.Not all products manufactured locally are to be sold locally, however. Goods destined for export overseas are typically loaded on wooden pallets before being shipped. While wooden pallets tick all the boxes when it comes to durability, increasingly developed countries are requiring that any imported containers that contain wooden pallets be fumigated at the point of dispatch.This is a costly and time consuming process that can potentially contaminate cargo, so freight forwarders and shipping companies either need to provide additional packaging safeguards for perishable goods, or consider an alternate pallet material. One such alternative is paperboard pallets, such as those offered by Australian packaging supplier PACKSPEC. The company states that its 100% recycled cardboard pallets represent a breakthrough in modern cardboard construction technology.Traditionally, the biggest barrier to widespread adoption of paperboard pallets has been their perceived weakness in comparison with wooden pallets. 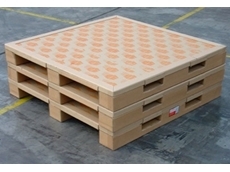 To ensure high strength and performance, PACKSPEC's paper pallets combine strong solid board corner protectors with a patented honeycombing system to deliver a load bearing capacity of 2,000kg static weight.Further, as they are manufactured from paperboard, the pallets are significantly lighter than the wooden equivalent. PACKSPEC notes that for a typical Australian export pallet (1100x1100x130mm), its paperboard alternative weighs only 6.5kg as opposed to 17kg plus for a wooden equivalent. This decreased weight can provide substantial savings in airfreight costs.Finally, PACKSPEC paperboard pallets comply with HACCP regulations, and are both ISPM 15 and ISO 14000 Compliant, making them ideal for produce and other food consumable items. 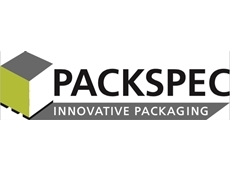 04/05/12 - PACKSPEC specialises in the supply of a comprehensive range of paper sacks suitable for packing powders, chemicals, pharmaceuticals, animal feed, minerals and food additives among others. 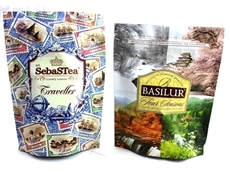 Designed to hold 5 to 25 kilos of product, PACKSPEC’s multiwall paper sacks offer an environment-friendly alternative to PE bags or various packaging products available in the market. PACKSPEC can supply a complete range of paper sacks to suit specific customer requirements. Made from natural or white Kraft paper, all paper bags are HACCP and FDA approved for food contact and can be printed to requirements. PACKSPEC’s multiwall paper sacks are available in various bag types including open mouth block bottom sacks, stitched bottom sacks, valve paper sacks and folded bottom paper sacks. Open Mouth Block Bottom Sacks Mainly used for powdered products such as milk powder, these paper sacks feature up to four layers and can include a polyethylene liner with a high barrier value. 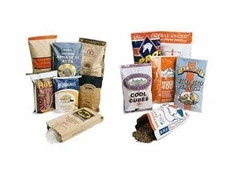 Stitched Bottom Sacks Featuring an open mouth design with stitched and taped bottoms, stitched bottom bags are ideal for packing animal feed, food ingredients and industrial products. 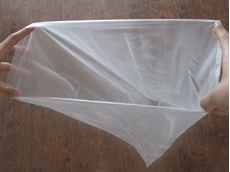 Plastic carrying handles can be incorporated into the sack bottom, in addition to a polyethylene window on the main body of the sack. Valve Paper Sacks Suitable for high speed filling of powdered product, valve paper sacks help maintain a clean and dust-free work environment. A barrier ply can be incorporated to protect the product from moisture. Generally used for packaging cement and chemicals, these paper sacks come with various valve types to suit the product being packed and method of closure. Folded Bottom Paper Sacks Suitable for automatic high speed packing lines, folded bottom paper sacks ensure square and stable pallet loads. The open mouth multiwall sacks can incorporate up to four layers with the double folded bottom ensuring a strong and secure sack. The bag tops are sealed via a heat applied PE sealable strip. An easy open ‘tear strip’ facility can be incorporated into the sack top if required.